Well, we were hardly going to start with the novelisation of Jaws the Revenge were we? Today is World Book Day, a celebration of authors, illustrators, books and (most importantly) a celebration of reading. In fact, it’s the biggest celebration of its kind and is marked in over 100 countries all over the world. So, what better time to discover for the first time, or to re-discover the book that started it all. We all know that Jaws the film was a monster hit and was the first film to pass the $100 barrier, the book was no slouch either. Published in hardback in 1974 in spent 44 weeks on the bestseller list and once in paperback would go onto sell over 20 million copies. Jaws, seems such an obvious title doesn’t it? That wasn’t always the case though, so you could have been reading this article on The Daily The Stillness in the Water or The Daily Leviathan Rising. Thankfully, some 125 titles later, we ended up with the Jaws title we know and love. Compelling yet flawed (flaws?) how does the book stand up over 40 years after publication and does the film cast a long dark shadow over the book, let’s find out together. 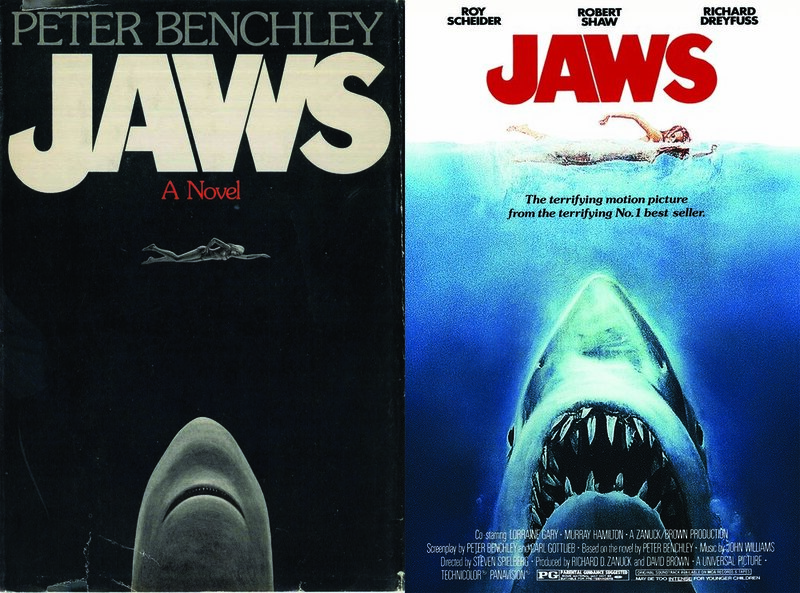 Starting in two weeks, over the next 14 weeks I'll be diving back into the pages of Peter Benchley's Jaws. And we at The Daily Jaws want to take reading Jaws to a global scale. I'm looking for other The Daily Jaws fans from around the world to join me as we devour two chapters every two weeks - that's 14 chapters in total - and discuss its merits, differences etc on The Daily Jaws blog. I'll be penning some of my thoughts on the book as it progresses and hopefully start to provoke something of a debate on what you liked or didn't like about the original Benchley book. It would be great to hear what versions of the book you are reading and post a picture on The Daily Jaws Facebook, Twitter or Instagram using the hashtag #TheDailyJawsBookClub mentioning where you are reading it and what country. Mine is from 1987, published by Pan Books Ltd and originally printed in 1975. It cost £3.50 and features the classic film poster by Roger Kastel. Got to love that jagged Jaws font. It would be great to find out where you are doing your Jaws reading as well, currently I'm writing this and reading Jaws by a pool in Portugal. You could say that the sounds of the splashing water and screams add to the whole experience. We know that Jaws and The Daily Jaws fans are from right across the world so it would be great to see The Jaws Book Club members check in from right across the globe. Who knows, if it is a success we may even try something similar with Hank Searls Jaws 2 novelisation. I first read Jaws about 30 years ago when I was 13, fuelled by my love of the film, even at that young age I was enthralled by it and have been ever since. It was on my Christmas list for 1987, I'd rented Jaws the Revenge on VHS from Video Magic 'up the street' and bought Jaws on CIC video - pan and scan back in those days - from Woolies in Mansfield, Nottinghamshire. It was £9.99. The Jaws book was ordered for Christmas opposite at what was then a John Menzies, I was well into my horror phase of reading everything from James Herbert to Guy N Smith. This was back in the days before Amazon so there was a real thrill in ordering books that came to store. I clearly remember that Jaws was ordered alongside Nicor by Peter Treymayne - another monster in the water book - Bloodworm by John Halkin, and several of The Omen sequel books by Gordon McGill. 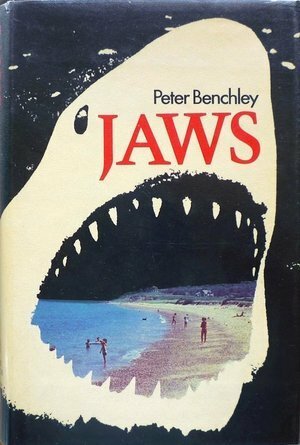 My history with Jaws by Peter Benchley goes back further than 1987 though, back to the womb in fact. The summer of 1975 was the summer of the shark, Jaws the film was the first film to smash the $100 million barrier and although it wasn't released in the UK until December that same year the buzz and anticipation had already crossed the ocean and the book was being serialised in one of the papers. My mum read it through that and I'd like to think that somehow I'd absorbed some of it in the womb that summer. So, grab your brand new, first edition, dog eared, library loaned, kindle edition of Jaws and let's head back to the breaking surf of Amity Island. See you in a fortnight after the first two chapters.